Is there anything more delicious than a chocolate chip cookie? Is there anything we hunt for more than the perfect chocolate chip cookie recipe? When I was a university student I spent my summers working as a pioneer in a local pioneer village. I learned a lot about baking and cooking during those summers. Little known fact about currants in cookies…women would put currents in cookies and other baked goods to hide the flies that would get into the dough by mistake. Yummy, right? Maybe that is where chocolate chip cookies came from…necessity is the mother of invention. 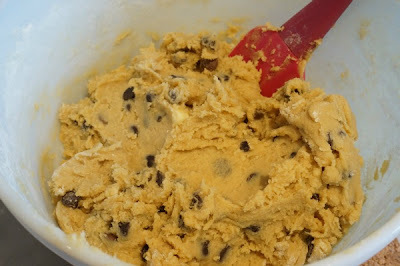 I’m not sure who the first person was who decided to drop morsels of chocolate chips into cookie dough, but I love them. Wherever they came from we love them and we have perfected a simple and not so secret recipe. 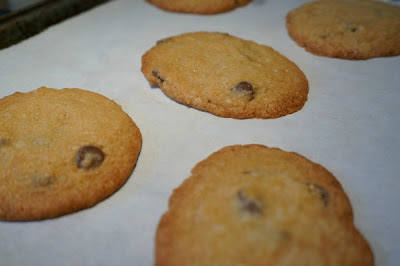 Our go-to recipe is the one on the back of the Chipits bag of chocolate chips. The secret is I cut down the amount of chocolate chips and I turn down the temperature. These two changes have lead to some stellar batches of cookies. 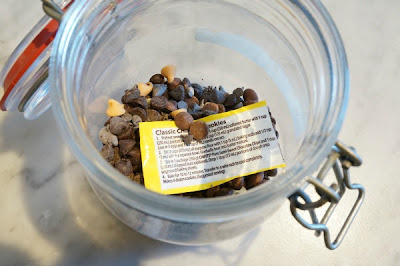 My little kitchen tip is, I cut out the recipe and store it in the jar with the chocolate chips. This way, I can buy my chips in bulk and still use the Chipits recipe. I do the same thing for rice. An easy way to have the recipe right on hand when I go to bake. 2. 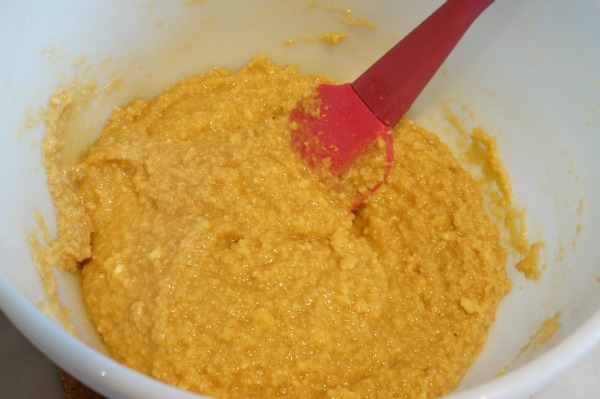 Beat in eggs and vanilla…set aside. 5. In two batches, add the dry ingredients to the wet ingredients until dough forms. 6. 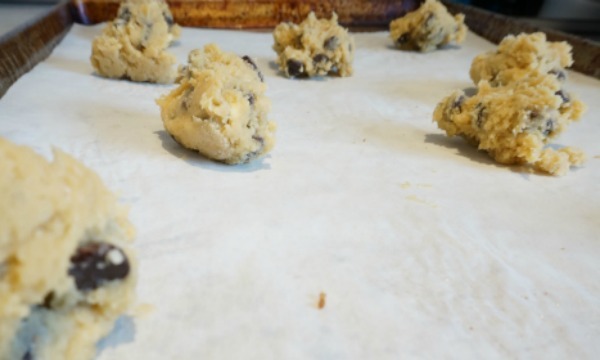 Place 1 tbsp portions of cookie dough onto parchment lined baking sheets. 7. Bake in a 350F oven for 10-12 minutes…or until edges are golden brown. 8. Transfer to wire rack to cool. Sometimes I will make up the dough, throw some plastic wrap over the bowl and pop it into the fridge while I run errands. When I’m ready to bake I just pull it out of the fridge and the dough is ready to go. That’s it. So simple. We enjoy our cookies with a glass of milk or with a bowl of vanilla ice cream. 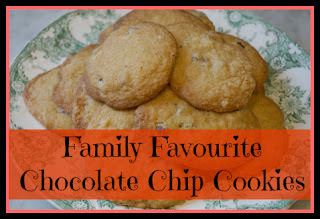 How do you like to eat your chocolate chip cookies? Do you add nuts? 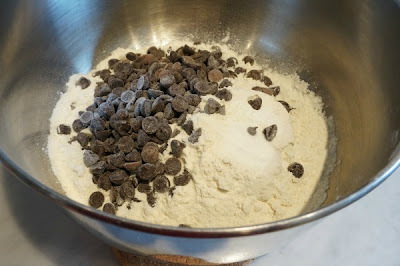 Do you add anything else to your chocolate chip cookies? Previous Post: « Happy 2 Year Blogiversary! I’ve been taping recipes/cooking directions to jars but they keep falling off. I’m going to start just dropping them in there. Thanks!